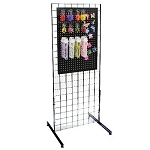 Showcasing your product with the 4 Foot Gondola Slatgrid Display Rack will send your profits sky-rocketing! Included with your purchase are (4) 2ft. x 4ft. slatgrid panels and 6 connecters so any display can be your own layout. 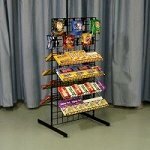 This durable apparel rack sits on a base with casters making it a breeze to move! 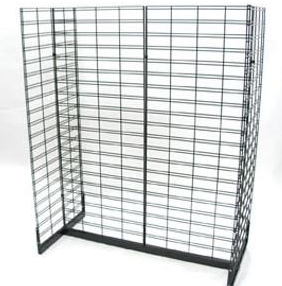 Place a slatgrid display in your cart now!